HIMSS17: Where the Brightest Minds Inspire Action. 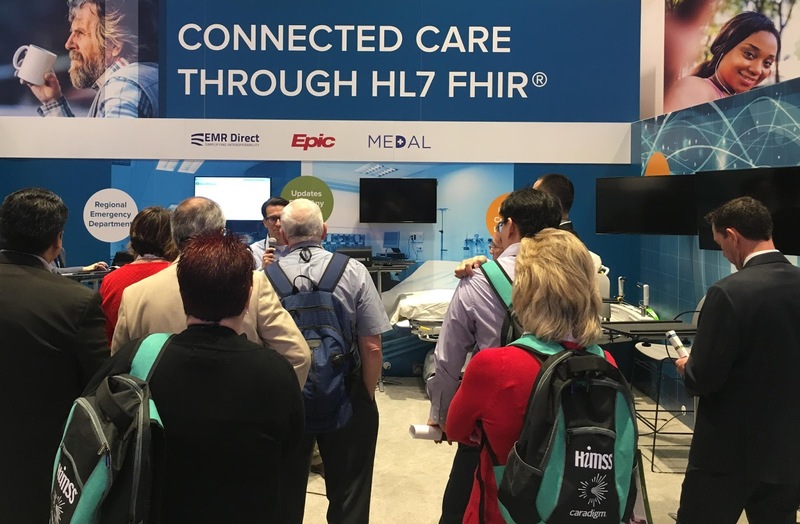 Here are my top ten hot topics from this year’s HIMSS meeting, which was held Feb. 19-23 in Orlando this year. Before I comment, one should note that I look at this meeting with an imaging background and interoperability interest, so I probably missed many things outside my scope of interest. Second, I was a little bit turned off by this year’s slogan “Where brightest Minds inspire action.” I have to admit that it did its job because as soon as I arrived at the airport I made a picture of myself with this poster to post on social media, but after the fact I thought, “what about those even smarter physicians, or, even better, shouldn’t it be all about the patient?” In any case, it was a nice marketing scheme and definitely did its work. So, what about my top 10 hot topics of this year? Cognitive computing is the solution to all problems in healthcare (or maybe not?) – Virginia “Ginni” Rometty (IBM CEO) said in her keynote speech, “We’re at a moment where we can change large pieces of healthcare and we are at a point where cognitive computing could usher in a new golden age in healthcare.” Note that cognitive computing is defined as “the simulation of human thought processes in a computer using techniques such as AI, machine learning, and neural networks. So, is our solution to our healthcare issues to replace physicians with computers? Maybe not quite yet, it can be used to guide precision medicine, such as tailored drug and therapy treatment for cancer, and yes it can also be used to create better outcomes using data mining to indicate more effective treatments. But I believe we have some major issues to deal with first, such as, having information about patients in different data silos that is still incompatible, hard to extract and exchange, and lastly, semantically very differently encoded. And then, assuming we do eventually get all that data at our fingertips, replacing the thought process from an experienced physician is somewhat more complex than being able to win a chess or jeopardy game (which is what Watson is known for). So, in my opinion, Watson may not be a solution for a while. years. However, I saw quite a few working demonstrations of CDA exchanges, and talking with HIE executives, it appears that this is for several applications the most common interface. And as we know in healthcare, there is a big resistance to change something that works (witnessed the death of HL7 version 3). So, even though FHIR will start to take off in a few years, there remains plenty of opportunity to fix the issues with CDA, which mostly deal with its semantic interoperability, and to keep it for certain use cases. So, in my opinion, CDA is not going to die soon and, for certain use cases, continue to be a good way to exchange information between EMR’s. means. It is unpredictable, you often are holding your breath, hoping that common sense will prevail (eventually). Despite (or maybe thanks to) the strong support from ONC many people don’t realize the FHIR is still a draft, and it has many resources still to be defined, and, unfortunately because of its loose definition, has many options, and lastly there is also the issue with having different releases out there. So, it will take a few years to get there and at that time it will be used next to conventional HL7 version 2, CDA, and in some rare version 3 messages, to exchange the information. Imaging is still an IT stepchild. – As with any stepchild, imaging does not get the attention it deserves and is under appreciated and underserved at this meeting. The HIMSS program committee does not seem to realize that the CIO’s who visit HIMSS will never set foot in any of the imaging trade shows, so in order to bridge the gap between IT and imaging, it is essential that there be education and exposure to the complexities of storing, archiving, managing and exchanging patient images. It is not the vendors fault, if you wanted to learn about the new enterprise image solutions using VNA technology, all of the major (and minor) players were present. But the lack of educational sessions on this topic was discouraging. at the HIMSS showcase booth than last year’s (more than 7,400). 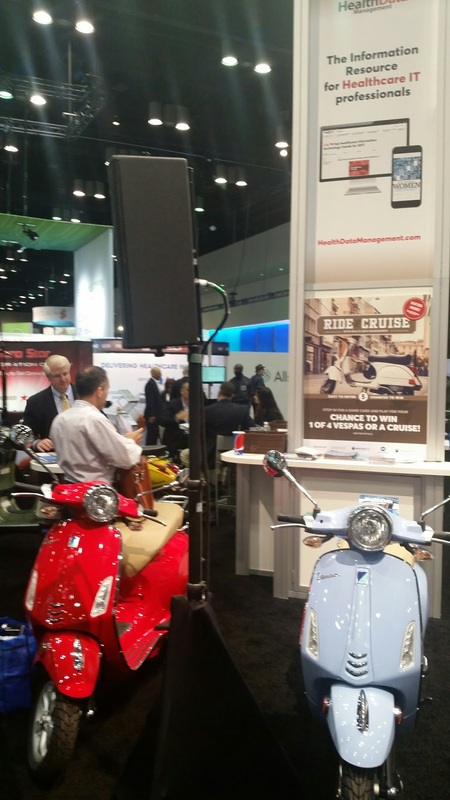 This showcase showed true interoperability by having multiple vendors in the same booth demonstrating true life scenarios. One might wonder why there is so much more interest. 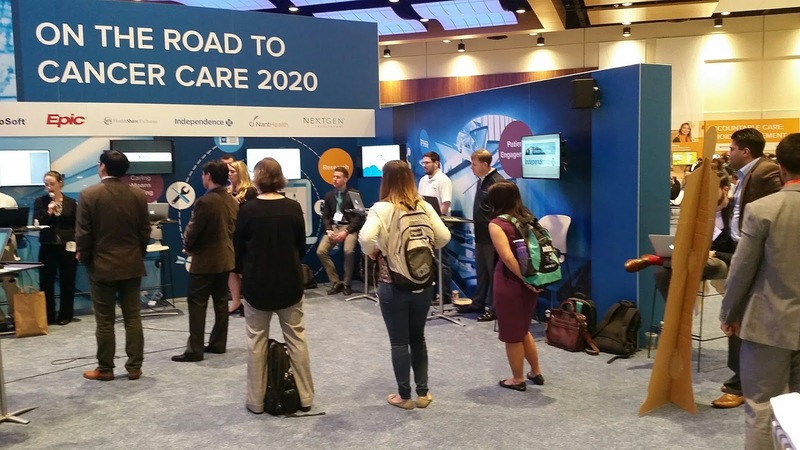 Here are some of the questions I got when working at the IHE information booth this year: From large insurance company – Why do I have to develop custom interfaces for each provider’s EMR to get data so we can use it to optimize our billing, reimbursement, actuarial predictions, etc. From device vendor – How can I upload my data using standards into the EMR?· From HIE provider – Why are there so few people supporting XDS for cross enterprise data exchange? From PACS vendor – We provide XDS capability but why don’t we get any “takers” in the US? From IT hospital people – When can I get what I see here in my hospital? So, in my opinion, the increased interest in these exhibits is due to the fact that people are starting to realize that there indeed is another way of integrating systems, i.e. by using industry standards such as IHE, but that there is still a big difference between what was shown (the “show and tell” or what we call in our own jargon the “dog and pony show”) and what is available in the real world. 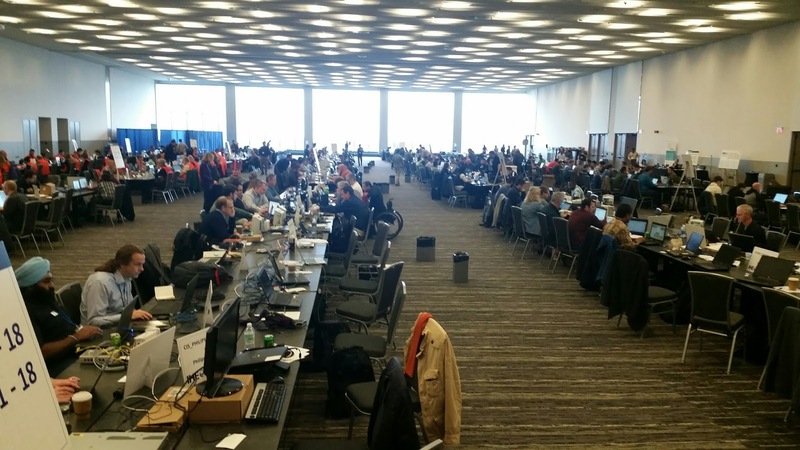 just a few weeks prior to the HIMSS17 meeting, which is somewhat of a “testing ground” to prepare for the IHE showcase event, but also stands on its own merits as it is a great opportunity for the vendor community to test their applications among themselves. As the connectathon attendees can attest to, it was obvious that in contrast to the IHE showcase attendance, the connectathon attendance has been declining over the past few years. The number of Health IT systems tested has dropped between 2015 and 2017 and the number of organizations testing as well. IHE USA is still looking to see what the trends are and reasons for the drop, but in my opinion, it might just be that it is time to pause and make sure that there is time to implement all of these profiles from these different domains. It is good for standards to set the path ahead, but the industry needs to have time to implement it, and for the users to demand it, and test and deploy it and make the appropriate workflow and other changes that come with implementing new technologies. Enterprise-wide Image exchange is still a challenge. – The Joint SIIM/HIMSS workgroup on enterprise imaging gave their report at the meeting detailing the result, which produced several white papers that are available for free on their website and covers all aspects including the governance, image ownership, encounter-based imaging issues and viewing. The problem is not only how to manage and exchange these images, but also how to acquire them in a consistent manner, especially from the non-DICOM “ologies.” Taking a picture on a smartphone to be uploaded into the patient EMR is not trivial as it requires consistent and unique metadata to be generated, which sometimes can be done from order information, but often there is no order available. There are a couple of follow up working groups established that basically try to take these white papers a step further and educate users about the issues and resources. In addition, there is a working group that is evaluating the Digital Imaging Adoption Model (DIAM), as defined and used by the European HIMSS division, to see how it can be made applicable for the US. It is very hard (if not impossible) to get physicians to give up their pagers. – There are still about 1.5 million pagers! around in the US, which are almost exclusively used by healthcare practitioners. There are several reasons for this, most of them are related to habits as there is no reason that, with using the appropriate secure messaging software, one can’t use a smart phone. If a physician would use a smart phone it is possible to link directly to the EMR, look up on-line resources as needed and even pull up an image, all of which is not possible with a pager. Dr. Sean Spina from Island Health in Canada did an experiment with his pharmacy staff and found that when using the smartphones, the average response times for messages was reduced from five-and-half to three minutes and the time for high priority calls were reduced from 19 to 5 minutes. However, it really requires a top-down enforcement as one vendor commented that if they sold let’s say 1000 licenses for their messaging, after one year they found that at most 200 would be using it, the remainder would still be hooked on their pagers. Patient engagement through messaging is critical – Another important type of secure messaging that is evolving and also critical for outcomes is messaging of patients. There is a high percentage of patients that do not take critical medications, so simple follow-up texts has been proven to make a major difference, even potentially impacting readmission rates in the hospital. events. – If walking down the aisles you wondered why there is more traffic and people seem to be more vocal late in the afternoon, it would have been the fact that the “bar is open” after 4 pm. Not only can you purchase beer, but you could get free Belgium beer at certain European vendors, and, of course, Bud Light with the US vendors, and here and there you could get a good glass of wine. And of course gadgets still rule, get those stuffed animals, pens, USB sticks, shopping bags and much more in return for vendors scanning your badge so they can follow up with junk mail. 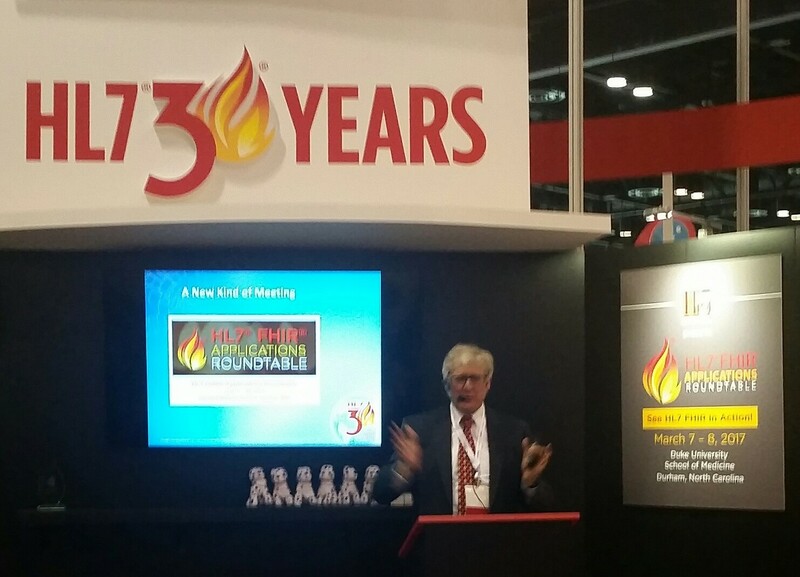 This was another good trade show, it had record attendance because the “who-is-who” in healthcare IT was there and there were some pretty good talks even though it was often hard to spot them in the myriad of presentations. 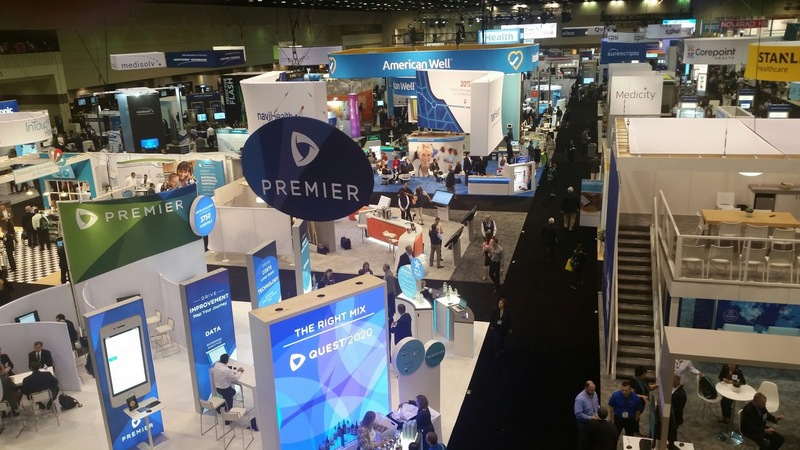 As one of my vendor-colleagues commented, “your customers expect you to be at HIMSS, whether you like it or not.” One common complaint was that the trade show was very elongated, i.e. to get from one side to the other was more than half a mile and it took me at least 10 minutes walking at a brisk pace to get from one place to the next, but I heard few complaints about the content. HIMSS18 will be in Vegas again, a favorite location for many, including myself. Looking forward to it!